A group called the NPP Youth for Integrity is pushing for a commission of inquiry into political some violence that erupted in various constituencies and some areas across the country in the past. They include Asunafo, Asutifi, Akwatia, Atiwa, Asawase, Talensi, Chereponi, and Agbogbloshie among others. 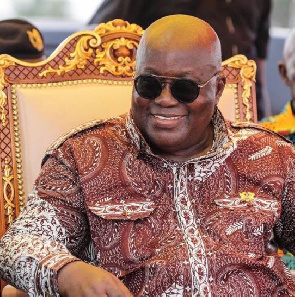 ‘’In as much as we applaud and welcome the move to enquire into what brought about the unnecessary confusion and disturbances that marred the beauty of Ayawaso West Wuogon by elections, we believe the state can’t keep a close eye to the worst scenarios that greeted the Asutifi, Asunafo, Talensi, Atiwa, Chereponi, Asawase, Agbogbloshie, Akwatia, and many other places where several number of innocent people suffered similar or even worst attacks for no wrong doings. Some have lost their lives whiles others become permanent disabled’’ the group said in a statement signed by ten of their representatives from all the ten regions of the country. The group says the establishment of the commission of inquiry will ensure that victims of these violent occurrences get justice and also provide them the opportunity to tell their story. WE DEMAND COMMISSION OF ENQUIRY FOR THE CRIME AT ASUNAFO, ASUTIFI, TALENSI, CHEREPONI, ASAWASE, AKWATIA, ATIWA, AGBOGBLOSHIE, AND OTHER PLACES. We like to commend the government for its positive response to the impasse at Ayawaso West Wuogon during the by-election and we wish add our voices to condemn all actors involved in the matter. Without any form of equalization, we however believe that what is good for the goose is as much good for the gander. We the NPP Youth for Integrity welcome the good news from the Presidency filling the Ghanaian air in our collective resolve to create the enabling environment for Democracy to thrive and offer the necessary breather for the entire citizenry who don’t foresee any better form of government than that which allows for rule of law which to all intent and purposes espouses equality before the law. 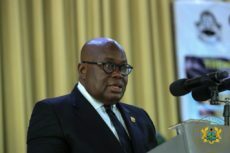 The yet to be matched and replaced good news that is given way for a Commission of enquiry to look into the matters that arose during the recently held Ayawaso West Wuogon by elections in which some irresponsible, unscrupulous and yet so low minded hoodlums thought they could hold the entire electioneering process to ransom, an event that culminated in the sustenance of some level of injuries and destruction of some properties of some innocent constituents. In as much as we applaud and welcome the move to enquire into what brought about the unnecessary confusion and disturbances that marred the beauty of Ayawaso West Wuogon by elections, we believe the state can’t keep a close eye to the worst scenarios that greeted the Asutifi, Asunafo, Talensi, Atiwa, Chereponi, Asawase, Agbogbloshie, Akwatia, and many other places where several number of innocent people suffered similar or even worst attacks for no wrong doings. Some have lost their lives whiles others become permanent disabled. We are of the firm conviction that the several number of victims of the violences that reeled their ugly heads as a result of someone’s negligence of duty would find it difficult to forgive the current state machinery that calls the shots in restoring law and order if they are denied the opportunity to testify before an equally competent Commission of Enquiry about their nightmares and fears that simply won’t cease to haunt them. As a group that stands for Integrity for all Ghanaian we stand resolute by the fact that no one is more Ghanaian than the other if we collectively believe in adherence to the tenets of democracy such as Equal Right and Justice. It is high time a Commission of Enquiry got set up for the crime at the stated areas. We demand justice for all victims of electioneering process. The perpetrators of such crime must equally face the law. Crime has no expiry date.